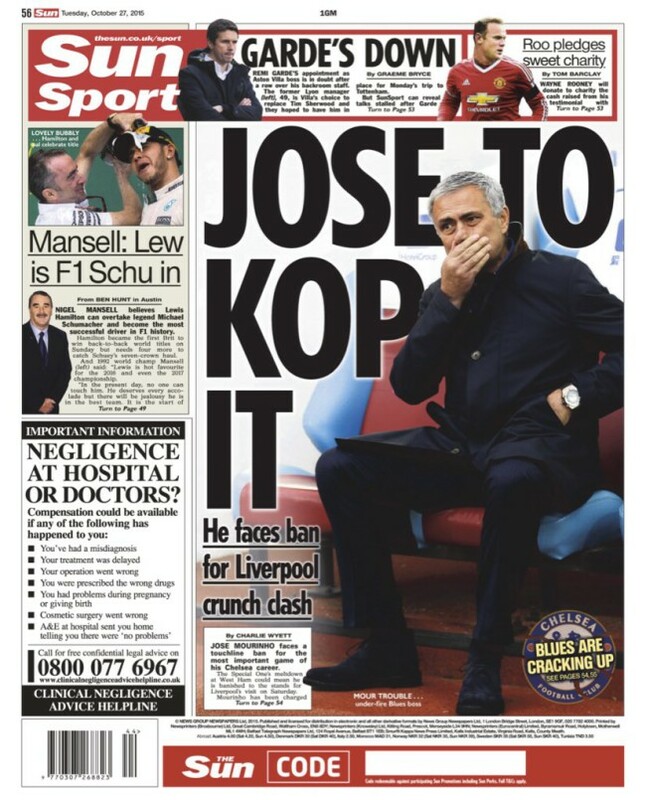 The backpages are dominated by the rumours that Jose Mourinho is on the brink of leaving Chelsea. Having abused Jon Moss, the referee, after defeat at West Ham, Mourinho is reported to have referenced Arsenal boos Arsène Wenger by saying “Wenger was right — you are f***ing soft”. It’s alleged that the Portuguese refused to leave the match officials’ room during half-time. ESPN says it would cost Chelsea £30m to sack Mourinho. 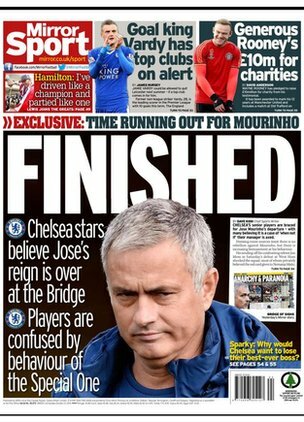 The Independent says Jose is off to PSG or Inter Milan. One persistent whisper in football circles is that Ancelotti, out of work since his departure from Real Madrid, is the obvious go-to man should Abramovich find himself looking for another interim manager (or even a permanent one). Those close to Ancelotti insist otherwise; the Italian does not look back on his second and final season at Chelsea, which culminated with an unedifying dismissal in a stairwell at Goodison Park, with the slightest fondness. Who follows Jose? Not easy. Chelsea should stick with him.